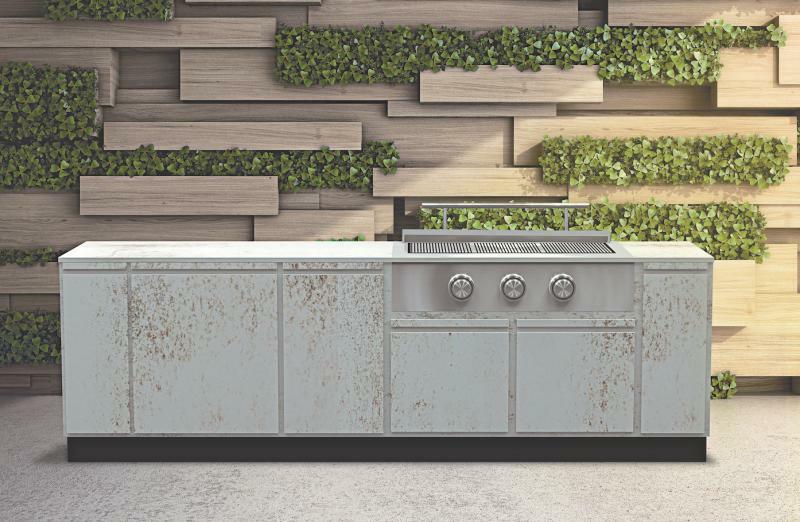 Coming on the heels of their last collaboration, designer Daniel Germani, Brown Jordan Outdoor Kitchens, and Dekton by Cosentino have unveiled a new industrial-inspired outdoor kitchen. This marks the second collaboration for the two brands and Germani. Last year at Construction Week 2017, the team launched the ASA-D2 outdoor modular kitchen. 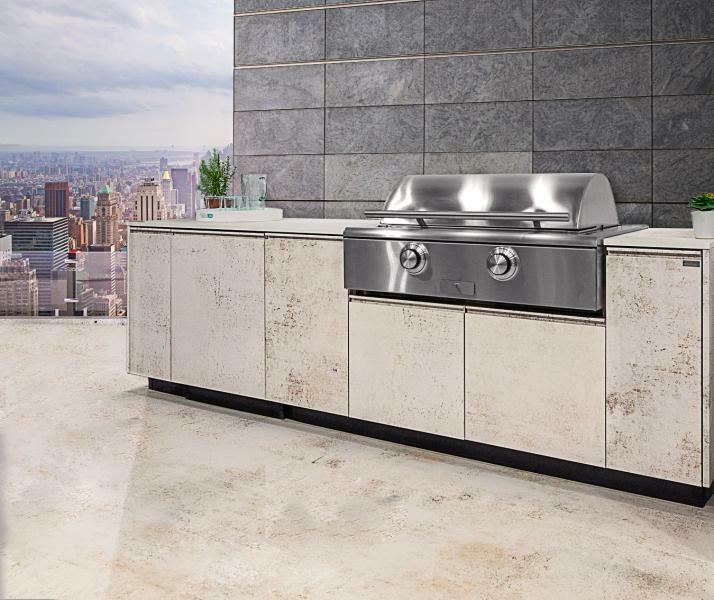 The new line, TECNO, is a sleek outdoor kitchen line that is made using Brown Jordan Outdoor Kitchens’ powder coated stainless steel cabinetry and Dekton countertops. The companies say the kitchen accommodates a variety of appliances and cabinet configurations, blending high performance with architectural style. “TECNO is the next step in the evolution of the kitchen cabinet,” says Germani, founder and creative director of Daniel Germani Designs. 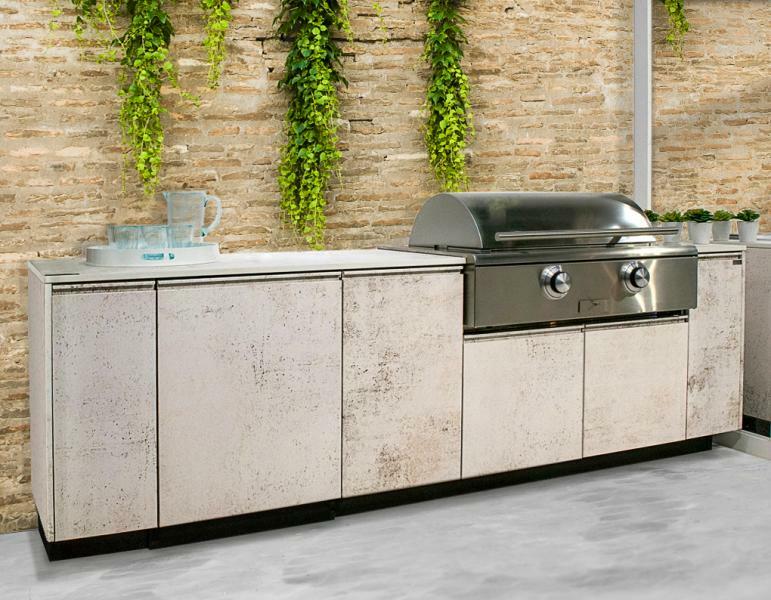 “The goal with this new kitchen line was to create an elegant outdoor kitchen solution that will inspire those who use it and transform the way they view and inhabit their outdoor spaces. TECNO incorporates European styling such as a frameless design, integrated pulls, and full extension soft close drawers. 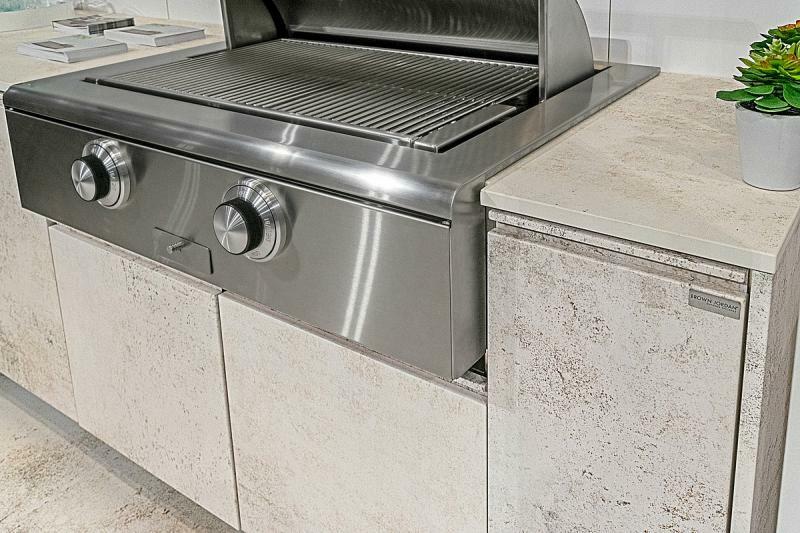 It comes in more than 25 finishes, including selections from the Dekton Industrial Collection, an offering that pays tribute to the imperfections of metal and stone at different stages of age and decay. Additional finishes include matte, semi-matte, glossy, satin, and metallic looks in a range of neutral hues, and a selection of realistic powder-coated wood grain finishes. Click here to watch a video of TECHNO’s unveiling at the International Contemporary Furniture Fair in New York City.